We provide guidance and assistance from our many years of experience, to help people learn to listen to their horse and their horse's needs. This helps you to achieve a better partnership between you and your horse whether on the ground or riding. We run a rehabilitation unit for all types of problems: Post operation rehabilitation "straight from the vets", to just run down needing a break from their job. 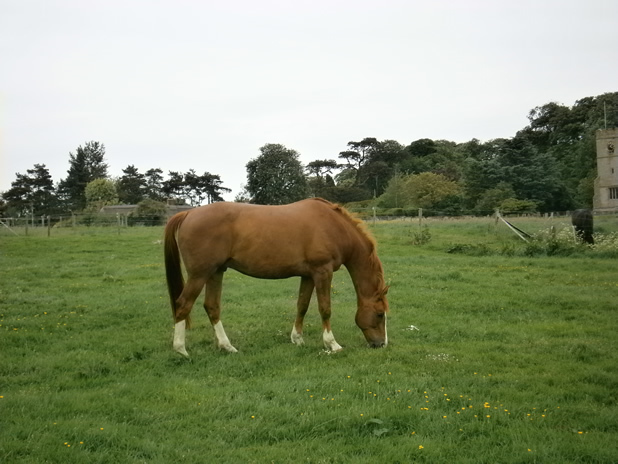 Most HORSES benefit from a stay at "THE HORSE PRIORY" where the atmosphere is calm and relaxed, with plenty of fresh air, good forage and superb views, which seems to relax horses as well as owners. Our rehabilitation also includes treatments to help relieve the symptoms of kissing spines, leading to your horses resuming a near normal life again. An intense course guided by your Vets diagnosis, of long reign, massage and stretches can bring amazing results.